For Information About What Is Covered In Each and Every Workshop, Please Click HERE. Hello my friends. 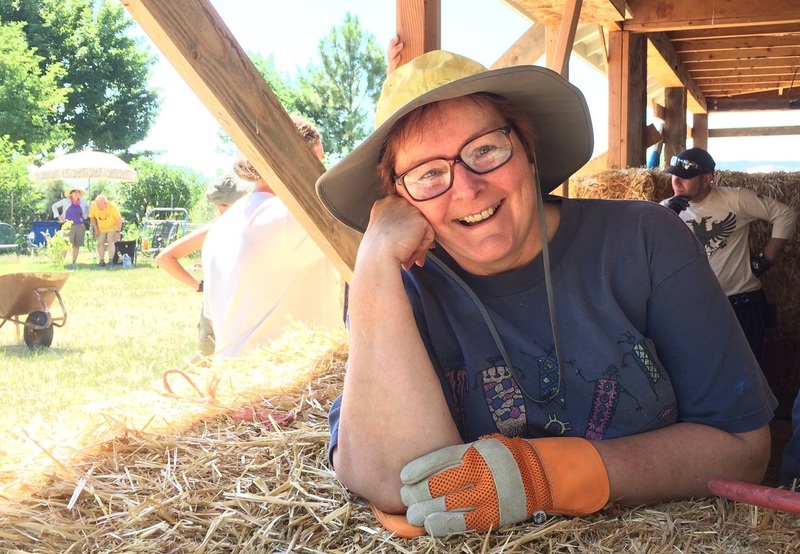 My name is Kathryn Patton, and I will be hosting a straw bale workshop in June of 2018. 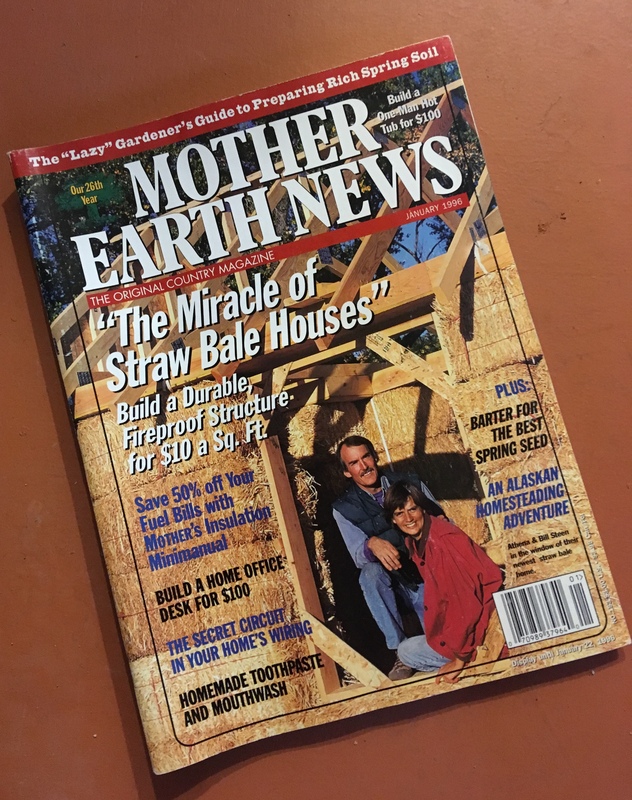 Looking back, it seems like such a short time ago that I picked up a copy of Mother Earth News from my local market’s magazine stand, one with a cover story about straw bale houses. That article started me on this quest for my own straw bale home. But really though, the time has flown by. 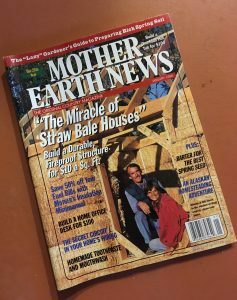 It’s actually been over twenty years now since my interest in a house of straw began with reading that intriguing article. And my initial excitement has never waned. 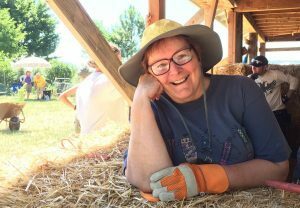 I’ve kept the idea of it close to my heart as my nursing career progressed; working across the nation and in Australia too; all the while learning about the technique and method by studying everything I could get my hands on concerning straw bale construction. Yet it was only upon visiting my first bale home that I began to see and feel the reasons behind my attraction to the method. And with a couple dozen visits to different bale homes around the nation over the years, building and owning my own bale house remained my dream because it coincides with what I value and deeply believe in. Growing up in Kentucky, I always felt the warmth of home and hearth as tangible, having much to do with its content and family, but also with the physical structure of the house itself. When I walked into my first bale home, it felt like I had returned to the womb, its walls being the embodiment of warmth and protection that softly enveloped me. And the massiveness of its walls, revealed through deep set portals and fenestration, let me know too that I could have my privacy and a world of quiet calm within. The absence of sound was amazing! Even more so to think that all this was a result of collecting an agricultural byproduct, typically burned, but now bound together with twine and represented by a structure I could happily live within affirmed for me that I would have one someday. Today…that day has come! I’ve recently retired, and have found my own little oasis in the Okanogan Highlands above Chewelah, Washington, about 45 minutes North of Spokane. This mountainous region of Washington’s northeast, sitting above long flat valleys of grassland, rivals that of Yosemite with its summits deeply carved by glaciated trenches now heavily forested with the likes of Aspen, Birch, Douglas Fir and other evergreens. But the beauty of the area is surpassed by the tranquil culture of the locals. Gentle and friendly, welcoming and helpful, I have found a community I can call home. And my dream is becoming reality right in front of my eyes. My home is nearly ready for straw bales! So I cordially and with heartfelt wishes invite you to join me in helping to build a dwelling of straw, to discover something remarkable, to make new friends and to inspire hope for your very own bale dreams. I’ll even show you my dog-eared and tattered copy of Mother Earth News. But my guess is you won’t need it! My home site has wonderful views, and yet is only about 6 miles from town. Chewelah, pronounced as it is spelled…chew e’ lah… Washington may only have one stop light, but we do have a great brewery! We know what’s important in life around here. Nature, friends and family. 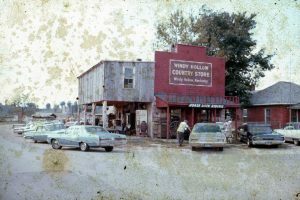 Having grown up in a family restaurant (check out Windy Hollow Restaurant online), I started cooking with my sisters and mother at a very young age. That experience, along with having this deep desire to feed people, is what makes leaving my table while still hungry impossible. While southern cooking is my specialty, I have also learned the importance of dietary choices and requirements as a registered nurse. Gluten-free, vegetarian, low sodium, heart healthy, vegan…bring it!! My home site is about 60 minutes north of Spokane and 90 minutes from Canada. 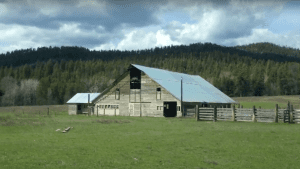 The property is only a mile from the Colville National forest, so hiking and vista views are only a short distance away. Waitts Lake is just down the road and Lake Roosevelt is just a bit west of Stevens County for all sorts of water recreation. We have excellent restaurants in Chewelah, including Mondo’s for Italian, Sporty’s for an American grill, ChewVino’s wine bar for tapas, and Paul’s coffee for a caffeinated pick-me- up. I invite you to share in my excitement for straw bale building while we bale and plaster my 1600 sq ft home (with 8 foot porch on all 4 sides). There is a huge old milking barn, corrals, and pastures as well as wooded areas on my 28 acres. 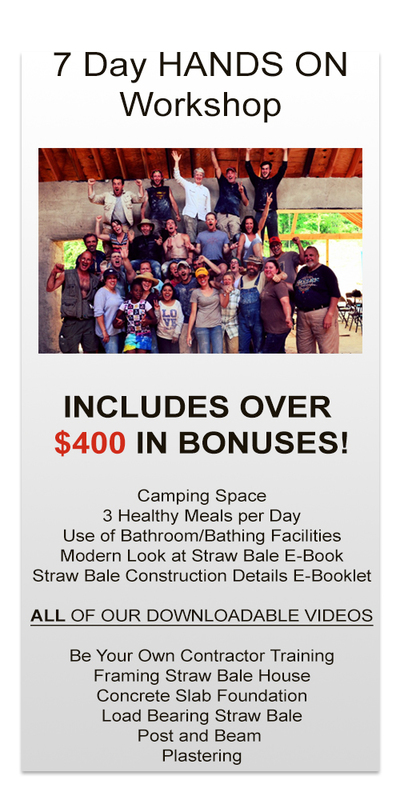 Come have fun, make lifelong friends, and learn everything you’ll need to know about straw bale building along the way!